The Monday after the mass murder at Pulse in Orlando, FL was also the last day of classes before end-of-year testing began. Attendance was low & classes were loosely structured – test prep, last minute grade savers, can I please just read my book? I had thought about the shooting all weekend, but I had no words yet. I teach students who are newcomers to the US, who have immigrated from countries in Africa, Asia, Latin America. Many of my students practice Islam. Many look like the Latinx clubgoers who were attacked at Pulse. Many come from places where governments are corrupt, violence is public & frequent, where homosexuality is considered a capital offense, where gay people are proclaimed subhuman. I only spoke to one of my students about the shooting. L brought it up to me, asking if I’d heard about it. I braced myself for a conversation about homophobia & respect; L is the kind of student whose anger & desire for attention manifest in making deliberately hateful comments for their shock value. I was raw & stinging underneath my skin, angry beyond coherent words, & I wasn’t sure I could be calm enough to handle what he might throw at me. I told him: Yes. I heard about it. It made me so angry, & scared. L was quiet for a moment, looking at me thoughtfully. Then he said, This stuff isn’t supposed to happen here. A friend of mine, another high school English teacher, confers with her students after their daily freewrites by asking them what they have written about & jotting quick notes in her log. On Monday, one of her 9th graders told her, I wrote a list of reasons why people who don’t know me might try to kill me. How am I supposed to write that down for my conference notes? she asked me. How do I even begin to say something that matters to that student? & she told me, she shared that story with a few friends, some teachers & some not. One of the fellow teachers said, Oh, 9th graders are so dramatic. I have made the same list. More than once. Who I teach & what I teach, & who I am, brings me often to the intersection of politics of language, identity, religion, culture, feminism, & more. I’ve heard a lot of frustrations that adults feel about “politically correct” thinking & language – that words will not change feelings & ideas, that these are band aids on broken bones, that oversensitivity is going to raise our children to be weak & useless. I have heard teachers use justify their refusal to bring issues of race, gender, & sexuality into their classrooms. To them, I say that I don’t think it’s about us, necessarily; it’s about the younger generation we have a hand in raising. Maybe the words I use & those I choose not to use will do nothing about my own cynicism, my apathy, my held biases. But 10 years of teaching has shown me the power of words & how they influence mindset, openness, & thought. When I ask myself what I want my students to learn & take away from my classroom, it is never my lack of faith in humanity. If we want them to do & think & live better, then we have to teach them how. Some people like that. Many do not. But it’s not about us. Right now, teachers are being discouraged from talking about the massacres & murders of their students’ time. Sometimes, it is test pressure. Often, it’s that teachers aren’t trained or prepared to have these conversations. Sometimes, there are direct orders from administrators, or protests from parents who do not want teachers pushing political agendas on their children. Passing a test cannot be more important than becoming the kind of adult who has agency & knows how to maintain it, who both wants & can plan how to improve their world. We need to accept that educators need to be trained – really taught & practiced at – teaching through trauma, even more than they need a scripted & leveled curriculum. & maybe part of our problem is that people consider teaching students that everyone is human, everyone deserves recognition of their humanity, is a political agenda. I don’t have any answers, any profundities to share about the victims of this massacre, or of any other. I am not adept at teaching this way or bringing the real world into student discussions, with getting over or going through my own fear. I have only the dread I carry deep in my belly, dread that my students navigate a world that sees them as less & less than what they are, that reduces them to slivers of their identities & judges them. That dread, that fear that I will walk into my classroom to find another of my students has been murdered or attacked because of their ethnicity, their clothes, their sexuality, their neighborhood. That, the certainty that we can & must do better, & an aching raw wound for a heart. It still works, though. A prospective teacher in my friend’s graduate class once confessed to me that she was just not comfortable putting any LGBT-themed books in her future classroom library. “I’ll just set some aside for a student who is dealing with…that issue,” she said, flustered. “What if you don’t know?” I asked. She looked confused, like maybe I was not as smart as she had thought, like, how would she not be able to know? “Shouldn’t they learn that gay people are normal, that they’re teenagers who do all sorts of teenager-y things, like have favorite music & fights with siblings & best friends & crushes & everything?” Shouldnt they all learn that being a different kind of person doesn’t make anyone less of a person? It’s not about us. It’s about our students, their futures, & doing right by them. If it’s about anything else, then isn’t it part of the problem? I don’t deal with setbacks well, which is why a back spasm that left me bed-bound for two days had me in a whirlwind of panic and self-doubt. When I described my day of playing Hungry Shark Evolution, dozing, and getting sucked into “Doctor Who,” my friends told me I was enjoying what sounded like a perfect end-of-summer day. Why then was I so miserable? Not only because I was in great pain, though there was that. It was more the shame. In my family, getting hurt was a punishable offense. At best, I would get yelled at, which didn’t feel great what with already being hurt. As I got older, it was more likely that I would be chided for my carelessness, or just my me-ness. The message was always clear: if I got hurt, it was my fault and I should have been better. That has stayed with me. When I get hurt now, I get frustrated with myself. I tell myself this happened because I did something wrong or stupid, and I take my injury or pain as a sign that I am not strong or graceful or disciplined or just plain thin enough to do what I’m trying to do. Between Boyfriend and the fitness enthusiasts I follow on social media, I’ve become more acquainted with the experiences of people who get hurt. These are strong, athletic, disciplined people, and they get hurt sometimes. And they don’t berate themselves for getting hurt. They don’t abandon their goals, or give up on the things they were trying. They take some days off to recover and, when they’re ready, they start working again. Maybe they’ve decided to start from a different entry point – reinforcing some basics or building from a different strength – but they don’t just throw up their hands, declare themselves unfit, and sulk in the corner. These are revelations to me, every time: people get hurt, people struggle. Most importantly: I can, too. I’m reminded of so many students right now, past me included, and how setbacks affect them. Being “behind” the majority of a class has been so demoralizing for many of my students that they’re ready to give up on the whole school thing, rather than trundle along at the back of the class. Reassurances that they’ll get there or are doing great sound like lies designed to make them feel better, especially coming from a teacher, because most teachers don’t show their students what struggles and setbacks look like. We’re not really allowed to, in a system of rubricked evaluations and high-stakes rating. There is a lot of pressure to bring into the classroom only what is proven and guaranteed to work. Sharing one’s struggle as a learner is too great a risk for many teachers, I know. But the implication for struggling students is that only they flounder and face setbacks. Learning, growing, improving, etc., it all demands trying and failing. It’s the only way we’ll ever get to failing better, doing better. This is well-worn territory, even here, but it’s worth repeating. I’ve only just met my newest group of students, and I want to remember how to make space for them to just straight-up flail toward progress. – Praise the work. It’s not that I don’t want to tell my students how brilliant and creative and wonderful they are. But I need to remember that many students see working hard as a sign of inadequacy. I’ve had many colleagues and adults in general bemoan “this generation’s” lack of work ethic, but it’s not a secret that hard work is hard. Everyone deserves snaps for working hard, especially people who don’t realize how important it is to do so. – Share the struggle. It’s scary to be vulnerable with students, and overshare is a very real, very inappropriate thing. Some of my colleagues, great teachers, swear by the sharply delineated professional personas they maintain with students. Boundaries are important, but so is being human, and I think modeling the process of learning with examples from a real learner’s life is one of the most valuable things students can get from teachers. I talk about learning new things with my students. I share with them what I struggled with when I was doing what they are doing for this first time, and I make it a point to try new things with them and make sure they know it. Mistakes are shared and discussed in our classroom; we’re works in progress, and we can all help one another. – Reflect often. Time is at a premium in a school year, but checking in with students has to be non-negotiable. They need opportunities to think about and process what they’re doing and how they’re doing it, and I need to hear and see their journeys. This is how we all learn from each other, and from our own selves. – Get off the stage. I don’t stay in the front of the room for long, and every year I aim to take myself further from the center. But my favorite time of year is when students step up there. Whether it’s a Ms. Thomas impression or an expert presentation, I love to see students taking center stage and leading us through their learning processes. This coming year, I’m hoping to introduce these opportunities earlier than ever. How do you deal with setbacks? 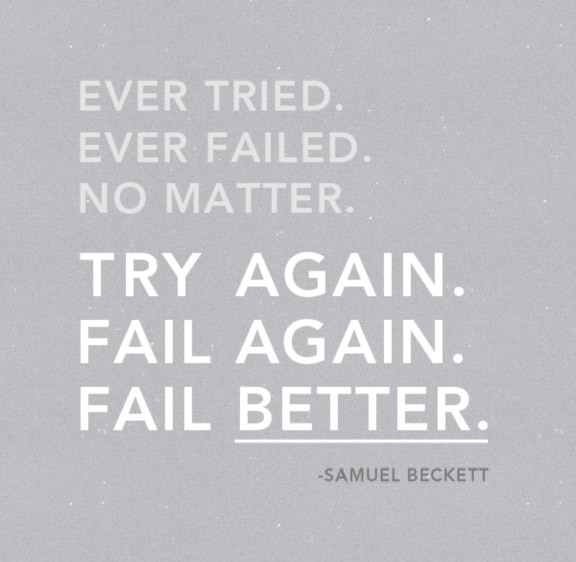 How do you help your students move past what feels like failure? I’d love to hear your thoughts in the comments! 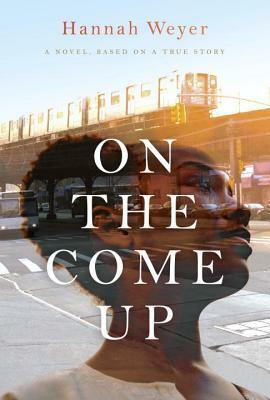 In short… This wonderful coming-of-age novel, based on the life of actress Anna Simpson, takes readers through the life of a teenager growing up in the projects of Far Rockaway. Through the main character of AnnMarie, readers journey through the foster care system, the projects, teen pregnancy, public school in New York City, dysfunctional relationships of all sorts, the making of an independent film, young motherhood, and more. Hannah Weyer manages to take on the ever-complicated life of this character without appearing to juggle chainsaws, which is impressive in and of itself. Even better is the realism of this story; despite the hardships and trauma of AnnMarie’s life, despite the surprising break an indie film offers, the novel follows a character making a normal life after the flash in the pan has dimmed. Put this in your high school independent reading library, add it to a literature circle unit for students to discuss in groups, or add it to your units on coming-of-age. Paired with To Kill a Mockingbird: the comparisons students could draw between Scout and AnnMarie, the examination of gender in these two societies, the value and influence of setting, and so on! Click more for a detailed review! My friend Marina posted on Facebook yesterday, “August is like Sunday.” I love that line; it’s like grouchy poetry. And it’s true – July flies so quickly, and suddenly it’s August, and the first day of school is pretty much tomorrow. But I’m pumped. I’ve spent July working with the New York City Writing Project’s Summer Invitational, 16 intense days with 24 incredible, dedicated, brilliant educators, all delving into ourselves as teachers and students and writers and people. Yesterday, as we wrapped up, I couldn’t believe how quickly the month had gone, but I find myself touching down into August with excitement. I’ll be at a new school in September, which means planning new curriculum, learning new routines and spaces, and most importantly, meeting new students. This summer with the Writing Project, I have been reminded of the wonderful things that are possible when you form a community, based on trust and honesty and support. I am so excited to teach, so excited for my students and I to share with one another and build a community that will support our success. Sharing can be scary – I know many teachers who refuse to share their own lives in their classrooms, citing boundaries and the need to stay focused on the pacing calendar or the standards. These things are important, particularly boundaries; overshare absolutely exists. But I think sharing myself and my world with students, even the scary parts, is one of the most important things I can do as a teacher. Some of the scary stuff is hard to share because of how emotional it makes us, how close it is to our hearts. Often, when something makes us sad, or scared, or angry, our impulse is to shut it out of our classrooms. But sometimes, I think we need to bring those issues inside and share with our students what we are dealing with or reacting to, and why.